All Life Questions can be answered reading the energy within and around you. Renee inherited her gifts as a young child. Studied and continues to study with healers all over the world for more than 25 years. Working professionally for more than two decades, she is drawn to stay on a growth path for herself, always has something to offer each and every client as individuals. She uses Reiki, automatic writing, is voice sensitive, an empath and medium, past life regressions, communicates with unseen spiritual team, yours and hers. Sometimes she receives movies of guidance and you may hear her voice change as she channels. All get a healing as you speak ending with a sense of peace be it immediate or soon afterward. Renee scans each caller quickly with the first connection using your voice leading her to thoughts, feelings, and the body. Healing starts immediately, each call is unique, guided by her guides and yours, she channels your truth. She is upbeat and confident, have your specific questions ready in an open manner to bring the best results. Renee is an amazing woman with such accurate and genuine intuition. Amazing as always. So grateful. Thank you! Renee is a believer you are guided to this page in this very moment. With gratitude, she welcomes you. Renee is a multi talented, energy healer. She connects quickly through voice, scans your energy field, allowing the answers to your questions to come through quickly. Each caller and specific call has an individual connection to find your truth. She offers, Reiki, energy healing, removal of energetic blockages, past life regressions, dream interpretation, and is a medium. A healing with every call happens as she answers all of your otherworld connection questions. 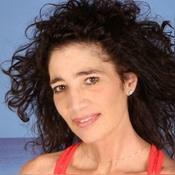 Renee has studied with many talented teachers and healers all over the world for the last 24 years. Advanced Reiki, energy healings, medium, past life regressions, removal of energetic blockages, grief specialist, spiritual growth, and relationships. Her messages are prophetic She has been practicing professionally for the last 20+ years. Her experience is hands on individually, groups, phone, and Skype. Healing Light by Renee has been a user of Keen since 2010. Getting Life Questions advice from Healing Light by Renee through www.keen.com is safe, secure and confidential.